The Sydney Institute – The Sydney Institute is a privately funded not-for-profit current affairs forum devoted to encouraging debate and discussion. The Sydney Institute was formally opened on 23 August 1989 at its 41 Phillip Street premises by New South Wales Premier Nick Greiner with supporting remarks from Bob Carr (the then NSW Opposition leader). The Sydney Institute is a privately funded not-for-profit current affairs forum encouraging debate and discussion. The Institute is genuinely pluralist and a wide and diverse range of views are heard at its forums. The Institute conducts about 60 policy forums a year (held usually between 6 pm and 7 pm) on a wide range of issues – including economics, politics, international affairs, literature, history, film, social policy – along with a well attended annual dinner/lecture. Past speakers at the dinner have included George Miller, Shirley Hazzard, Peter Cosgrove, Simone Young, Andy Thomas, Peter Doherty, Patricia Hewitt, William Shawcross, Kate Jennings, Richard Tognetti, Clive James, Tom Friedman, Kevin Rudd, Quentin Bryce, Simon Schama, Julia Gillard, Melvyn Bragg, Amanda Foreman, Tony Abbott and Julie Bishop. Gerard Henderson is the Institute’s Executive Director. He also writes a column in The Weekend Australian and appears regularly on the Insiders program. 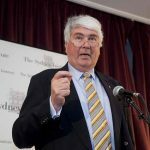 Each Friday, Gerard Henderson’s Media Watch Dog blog is uploaded on the Institute’s website and also published online in The Weekend Australian. Anne Henderson is the Institute’s Deputy Director. 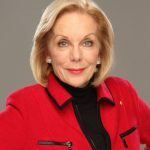 Anne Henderson appears on The Drum and is the author of several books, her most recent being Menzies at War (UNSW Press). 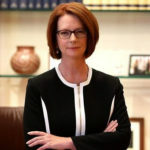 All speeches given at the Institute are published in The Sydney Papers Online which has a wide and influential circulation list – including business, media, university, college and school libraries. The Institute also publishes The Sydney Institute Review. Until January 2015, The Sydney Institute Quarterly was a publication of The Sydney Institute – incorporating “Gerard Henderson’s Media Watch” (which commenced publication in April 1988 and was first into the field of media watching in Australia). In 2014 the Sydney Institute celebrated its 25th year. Click here to watch the A-Pac video. - Subscription to The Sydney Papers Online and The Sydney Institute Review. The Sydney Institute – a no-nonsense, downtown venue for all credible points of view on Australian politics, history and culture. It leaves ideology at the door, and its podcasts guarantee a hearing the length and breadth of the country. The Sydney Institute is in the forefront of public discussions and public debate. It’s not every day that I’m invited by such a prestigious organisation as The Sydney Institute to talk about Australians and their behaviour. So I sincerely thank the Institute for this irresistible opportunity.